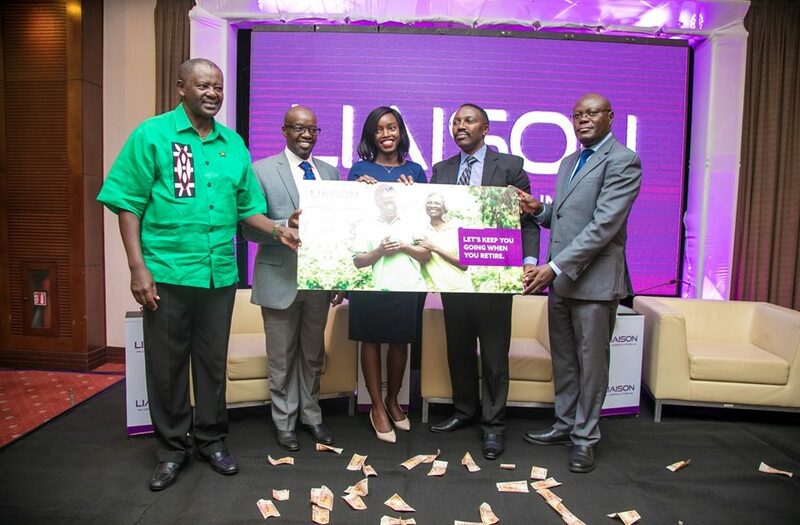 Liaison Financial Services Limited (Liaison), a leading independent provider of retirement benefits schemes administration and consultancy services has Tuesday (12th March, 2019) launched the Liaison Umbrella Fund to Ugandans looking for an effective retirement plan. The Fund which is managed by a top of the range technical team is regulated by Uganda Retirement Benefits Regulatory Authority (URBRA) and is compliant with Capital Markets Authority, Bank of Uganda and Uganda Revenue Authority. Liaison is a pioneer in scheme administration services to pension schemes, provident funds, defined benefits schemes, defined contribution schemes, hybrid schemes and investment trusts. According to Liaison Head of Pension Patricia Akot, the sole objective of the Liaison Umbrella Fund was to customize and personalize individual retirement solutions, with the goal of retirement planning to achieve individual financial independence. “Our aim is to ensure that individuals focus on their core business, and look forward to retirement with the knowledge that their money is safe and working for them,” added Akot. Liaison head of pension Patricia Akot addressing guests at the Liaison Umbrella fund launch. Under the Liaison Umbrella Fund, members are paid their full benefits plus a bonus interest payment in the following year, all clients’ savings are protected from all creditors and the members have full control of retirement planning through the option of making additional voluntary contributions targeted towards a member’s retirement goals. The Fund also harnesses the power of technology to deliver services at the convenience of the client at any given time through the Fund’s versatile online platform, SMS network and the banking system which allows benefits to be paid within a week. All generated solutions are local and are tailored to the individual clients’ needs. “We are committed to being the preferred and leading risk, insurance, pension and investment consultants in Africa. Over the years, we have deepened our presence and service in Uganda. Liaison stands as the oldest pension scheme administrator in the market, having been present in Uganda since 1997,” said Isaac Ampeire Director at Liaison Financial Services Limited. “Liaison Umbrella Fund is a testimony of our Live today love tomorrow philosophy and we take pride in the choice we present to the market. 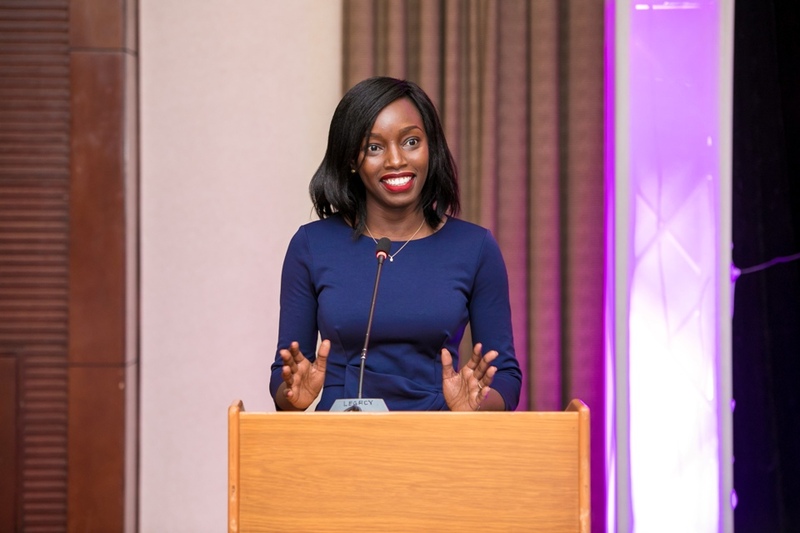 We also take pride in the contribution we bring to the Uganda economy.We are inspiring a saving culture in Uganda and the knock-on effect to economic development is invaluable,” Ampeire added. Amapeire further revealed that the Liaison Umbrella Fund pays out benefits, and later calls its members back for a bonus payment at the end of their yearly audit. 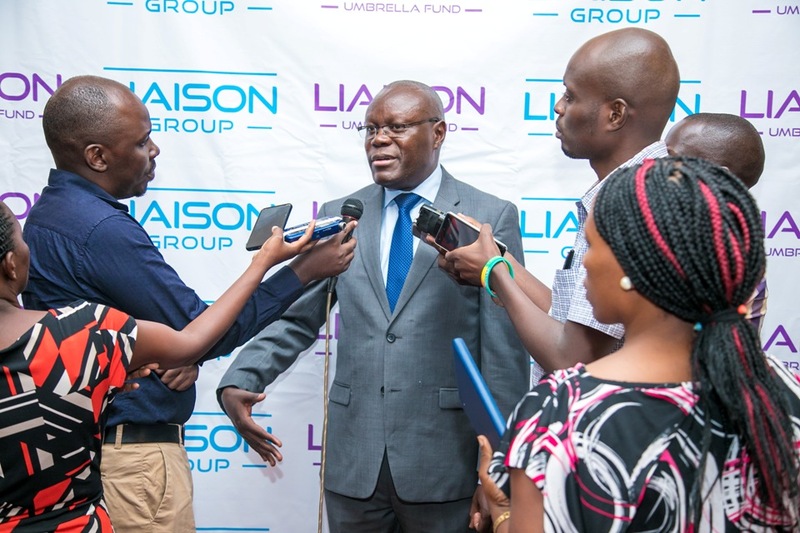 URBRA CEO Martin Nsubuga addressing press at the Liaison Umbrella fund launch.